What is a thai massage session? In a Thai massage session, the therapist uses different stretching techniques combined with pression using fingers, elbow, palms or knees. The therapist asks you about your health condition and adapts the characteristics of the massage to your needs. After the massage you need to drink plenty of water to help your body to clean toxins. 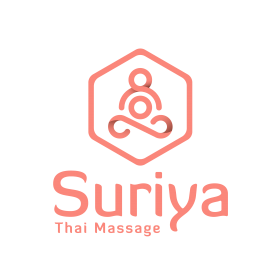 If you want to read more about Thai massage, click here. You receive a massage lying and sitting on a mattress or mat on the floor. It is important that you wear loose clothes so you can receive stretching positions comfortably. The massage covers the entire body and can focus on specific areas depending on your needs. This massage use hands, elbow, feet, knees and some stretching positions. You can choose between 60, 90 or 120 min massage. According to Thai reflexology, some areas of the feet are related with an organ or body part. This massage starts with warming techniques using oil on your feet. After that, you receive massage of the thai reflexology points using hands and/or a Thai wooden stick. A session is 45 minutes and you can combine it with another session, for example 30 min foot massage + 30 min thai massage of the rest of your body.